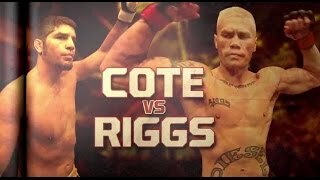 Don’t miss the explosive UFC 186 prelims on FOX SPORTS 1 as heavyhitters Patrick Cote and Joe Riggs go head to head in the Octagon. Plus, women’s bantamweight contenders Alexis Davis and Sarah Kaufman will settle the score in their anticipated re-match. UFC 186 takes place on April 25th live from The Bell Centre in Montreal, Canada.